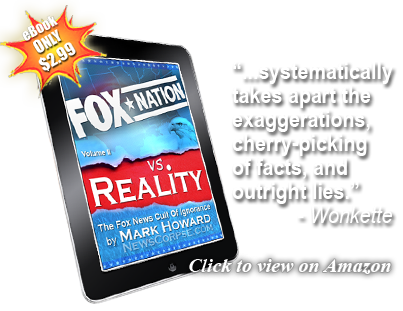 There have been innumerable examples of Fox News airing false reports in an effort to misinform their viewers. A recent example just within the past week alleged that President Obama recruited British spies to conduct surveillance on Donald Trump’s campaign. Fox’s senior judicial analyst, Andrew Napolitian, made the claim without any supporting evidence. The network’s news division later refuted the report and put Napolitano on an indefinite leave. But that was after the story had been disseminated worldwide, creating an international incident. Even Trump’s press secretary, Sean Spicer (Fibby Spice) cited the fake news during a White House press briefing. However, another way of shaping an ignorant electorate is to refrain from covering important events. The choice of what not to cover is just as significant as what to cover. And on Tuesday Fox News demonstrated their determination to deny their audience information that is unarguably newsworthy. The House Intelligence Committee’s hearings on Russia’s efforts to interfere with the 2016 presidential election were broadcast live by most news networks. Testimony by FBI Director James Comey revealed for the first time that the FBI was investigating Trump and his associates. The proceedings were unusually compelling for a congressional hearing. And the proof of that came when Fox News decided to cease coverage of the hearings to host a panel of right-wing talking heads instead. Fox was the only network that interrupted the live broadcast. And by doing so they deprived their viewers of first hand knowledge of what was happening at the hearings. What’s worse is that they replaced the hearings with conservative pundits providing a blatantly biased analysis. It was a deliberate programming strategy designed to advance the messaging of an embattled White House. Unfortunately for Fox News, it may not have worked this time. Ratings for the cable news networks show that when Fox cut away from the hearings they lost about 29 percent of their audience. That’s a massive shift by viewers who were obviously disappointed by Fox’s programming decision. What’s more, viewers were plainly following the hearings to other channels. The ratings for CNN and MSNBC both spiked after Fox cut away. This tells us that the American people are acutely interested in this matter. They want to know more about the potentially treasonous activities of their president. By suppressing that information Fox succeeded only in alienating their audience and further eroding their credibility. Plus, they probably don’t want to send their viewers off to competing networks. The Trump administration has brought newfound prosperity to liberal programming. The Rachel Maddow Show on MSNBC has toppled Fox from its perch atop the ratings hill. She has won her time period for the past two weeks straight. Saturday Night Live, despite Trump’s insulting tweets (or because of them) has seen its best ratings in years. Stephen Colbert’s Late Show is now leading his late night talk show competition. All of this suggests that Americans are hungry for honest reporting. 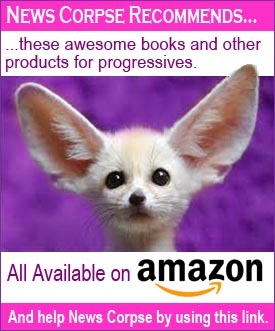 They are tired of Fox’s propaganda and the phony “balance” sought by CNN and other conventional news outlets. They want the press to be skeptical when appropriate and aggressive when necessary. They know there’s something amiss in the Trump White House and they don’t want it papered over. And they are not going to sit still when a network like Fox decides that they don’t need to know what’s really going on. 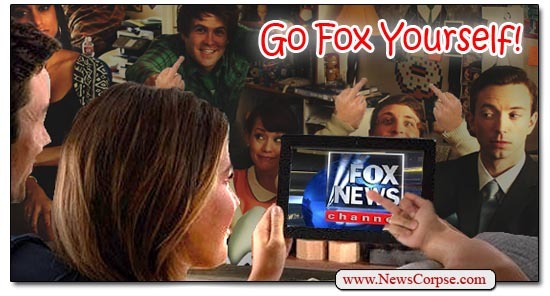 Fox News needs to adjust a new viewer mantra: We have remotes, and we’re prepared to use them. ← Serial Liar Bill O’Reilly Of Fox News Advises Trump To Stop Lying – No Really! And the TrumpBots are STILL convinced that her report on Drumpfy’s 2005 tax returns will be the end of her career. They have NO idea. OT, but related: David Brock suffered a heart attack the other day, but is expected to recover fully. And every single TrumpBot posting on MMfA … wished for his immediate death or worse. If Trump had had a heart attack — or any other condition — and we had posted what they are posting now, they would demand our ARREST! The double standards with the TrumpBots has gone beyond disgusting and has now reached sheer looney tunes level.